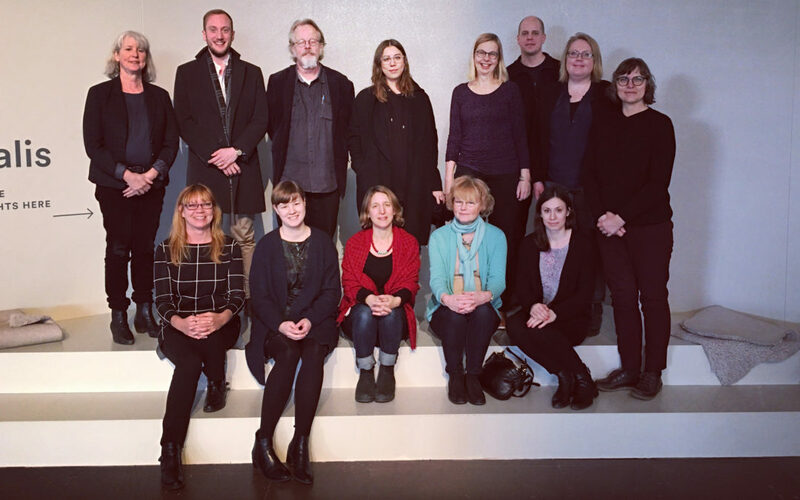 A seminar with the project’s reference group was performed in March, 2017, at the Nordiska museet/Nordic Museum, Stockholm, Sweden. These are some notes from the discussions during the day. Kajsa Hartig and Elisabeth Boogh opened the seminar by presenting the project plan and welcoming the reference group. Professor Helena Wulff moderated the seminar, during which representatives of the reference group, and the project researchers, performed short presentations of their current work and research. In the afternoon a common discussion on the project’s research questions was held. Below are some of the issues discussed. A core issue of the project is to further look into the character of the social digital photograph in relation to the work of heritage institutions in order to better understand the consequences for collecting and disseminating photography. A starting point is the constantly changing photograph, that can take different forms. This makes it difficult to understand what the social digital photograph really is about. A useful approach will be through practice, context and effect. Below are a few of the many aspects of the photograph in the social digital context that will the project will need to address. From an archival perspective it is central to understand the role the image has when trying to understand a phenomenon, a culture etc. This will inform future policies and work practices, as well as help us build on existing collections. A central question is therefore: How can we understand the impact of the social digital images? Breaking down the social digital photographs, looking into the context where it is being produced and the contexts where it is being shared, is a first step. In order to understand the image’s context we will look into what should be collected along with the social digital photograph, in terms of, among other things, image captions, comments, hashtags etc. Useful comments were made by the reference group to further explore the relationship between text and image: Is text above image? Sometimes we need the text to understand complicated images. The caption decides how we are going to experience an image. And at the same time a text can’t replace an image, f.ex. to depict dance. How does this affect the collecting and disseminating of the photograph’s context? One way of approaching the volatile and constantly changing use of photography in the social digital environment is to look into different settings where images are being produced. There are several examples of research done comparing everyday photography vs exceptional occasions. Examples of exceptional events are sports events, festivities, music festivals or political events that have a limited time span, and produce large amounts of photographs. These differences, between everyday and exceptional events, and the effects on collecting policies, will be addressed by the project group through case studies. During the seminar we discussed the role of the individual as producer of photographs. At the same time as we are looking into the changing character of the photograph, and the impact of archives/museums on photograph collections, we need to look into the changing role of the photographer or picture producer. In what ways do people impact the photographs they produce? How do people define themselves as photographers (or picture producers)? How can we be more transparent about the context of the image production when building new collections? Looking into the social digital photography there are often questions raised about manipulation. Today not as much about the truthful photograph (as previous research in photography has addressed), as about identifying ways in which images are manipulated, and contexts in which manipulated images are used. By focusing on the act of manipulation we will learn more about the role of the photograph as a tool for telling narratives. It’s what people chose to talk about that is interesting. As a consequence we will look into the differences between manipulation by individuals and companies, as well as ways of providing context to the dissemination of photograph collection in order to ensure transparency. Another discussion that emerged during the seminar was: How do we consume photographs today? Has the social digital photograph changed the way we consume images today in terms of using our senses? For example, a comparison: Are we reading when we listen to audio books? As a consequence, do we need to change the way we disseminate photograph collections? This is perhaps one of the most important challenges for the heritage sector and the work with photography collections. The quote comprises everything from the volatile image to bad technical quality to immateriality – and as a consequence, the shifting focus from original to the non exclusive copy. Therefore understanding the differences, and similarities, between the analog photograph, the digital and the social digital photograph, will help inform the upcoming recommendations for museums and archives on collecting and disseminating the social digital photograph. The context of digital is of course a central aspect that will need to be looked into by the project team. Understanding the digital in material culture from the individual perspective as well as the impact of digital on heritage institutions will help frame the questions. We need to look into the embedded agency in technology as well as the non human aspect which is manifested through f.ex. Google Streetview. Also the discussion about what is social in social digital photography will be performed throughout the project. Photography has always been social, there have always been vernacular forms of archiving and classification. Where do we find the essence of the social digital image? Are images produced by smartphones but not intended for public sharing considered social? Looking into the social media channels and services will provide useful insight into the individual’s use of social digital photographs, and the impact of the companies behind f.ex. Facebook, Instagram, Flickr etc. Today we know many services like Pinterest and Facebook function in many ways as personal archives. We need to explore the notion of the eternal archive – individuals using Facebook for lifelong storage. At the same time many of them don’t give access to all images, the individual’s photographs become non retrievable. And even if there is access, downloading one’s personal photography archive is difficult. Another aspect of the social media channel is the cooperative archive, i.e. Facebook as archive, with standard, classification mechanisms, the authority. How do we translate that into the physical/digital archive? Are these mechanisms possible to translate? Further interesting features of Facebook include the memory aspect, reminding us what happened one year ago, two years ago etc. and the the story aspect: Facebook can create narratives of photographs from one occasion, and offer the individual to create albums or slideshows. The static structures of the traditional archive vs the versatile Community Archive is very much an issue to address connected to the research questions of Collecting Social Photo. Last but not least we need to look into the censorship of social media channels in order to understand how this affects what is being posted and how people post. The heritage institution is, as mentioned, very much framing the social digital photograph with a new context. Therefore describing the impact that archives and museums have on the photographs is a way of working with transparency towards the end users, ensuring the status of the social digital photograph as source material for research and re-use. As this project aims at creating new recommendations for collecting and disseminating photographs (the social digital photograph) we also need to look into how we can better understand consumer preferences for photography collections. Who are our end users? How will they want to access and use the collections? And what do these preferences tell us, and how do they affect work practices around collecting and disseminating? Another research project at the Nordiska museet/Nordic Museum Vardagens bilder och berättelser is looking into the role of the researcher as “customer” or user of photograph collections. 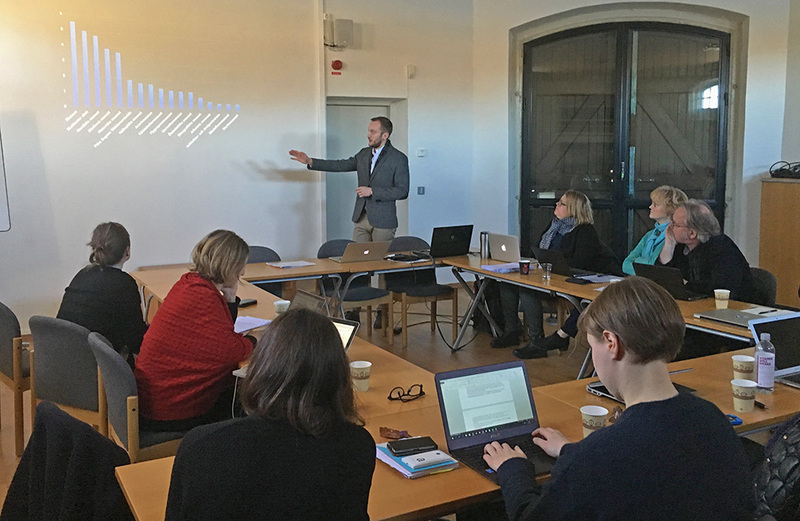 Jonas Engman, the project manager of Vardagens bilder och berättelser, is also on the reference group of Collecting Social Photo, which means we will have opportunities to benefit from the findings of both projects. An important aspect of the current work at the participating heritage institutions is that the existing collections, and collecting policies will inform the new recommendations from a content perspective. An important task for the project will therefore be to see how we can build new collections on existing ones, and ensure long-sightedness and continuity. One way is to look into the social digital images as personal narratives, which might in part be seen as extensions of personal analog archives as well as surveys and documentations initiated by the museums/archives. The everyday images as a source to knowledge about everyday life. During the seminar we discussed possibilities of compare images from the archives with f.ex. a day/week/month/year online. To do this we need to further explore the connection between personal photographs and the individual. This exposes related issues like: What is personal in the semi private (and fully public) arena of social media? Folklore is spread collectively, verbally and through individual narrations (people adding their personal experiences and views/opinions). Can we draw parallels with the tradition of personal experience narrative within folklore studies? A central part of the project is to visualize the impact of the Archive on photograph collections. How do the structures and frameworks of the Archive impact the stakeholder’s access to collections, and the possibilities of participating through co-creation. Museums and archives have collected photography since the 19th century and there of course existing are policies, practices and work routines. As for digital photography there are existing policies based on the late 1990s and early 2000s that concern digital image quality that need to be revised. As the social digital photograph does not meet the standards of high resolution tif images, we need to revise the standards for file formats and resolution. Interesting research is performed by Asko Lehmuskallio, Finland, who is part of the reference group, where the lowest quality image that still can be used, is being investigated. During the project we will through the case studies look into different ways of collecting photographs as well as their context. During the seminar we discussed different methods for collecting big data, for example scraping vs collecting all data from a specific period. The conclusion is that we need to agree on the methods, better understand which methods will give a satisfying result and justify the use of one or a combination of methods. When looking into the photograph from a case study we have started to use categories in order to better understand the content. There are different approaches, for example the categories by Lev Manovich, professional, design and casual. Methods for creating categories were discussed by the members of the reference group who represented different approaches, from working with large quantities of metadata to analysing a limited amount of images. In this process it is central to involve the communities from which images will be collected, in order to better understand and select categories. As mentioned above the built in features of many social media channels offer archival functions as well as putting those into a social context. Not only do we need to look into the possibilities of re-structuring both the institutional heritage archive, but also look into possibilities of adding this aspect to the act of collecting. An important aspect of crowdsourcing is of course to enable and ensure a democratic and open contribution, that is doing outreach and create impact outside the regular museum/archival audiences and stakeholders. One solution would be to work on the comparative aspects, f.ex. regional vs national vs local etc. The project group is well aware of the limitations of museums/archives outreach and the challenges of reaching outside existing filter bubbles. How can we capture the images that normally never make it to our collections? Which images are created that will not make it to our heritage collections? One part of meeting these challenges is to learn how to achieve successful outreach, and another to work with transparency and describe our roles as archives/museums as well as our personal filter bubbles. We need to define the roles and make a statement. We also need to identify social relationships that may or may not produce images that we wish to collect, and in order to do so also contextualize the images (look into the production etc). During the foregoing pre study in 2015–2016 the project group collected a list of literature to read. At this point we will need to more efficiently structure our reading according to the research questions. This will affect our reading.